Find your way to Neverland and discover the Mermaid Lagoon, The Marooners Rock or even the Lost boys home in this exciting LIVE adventure of Peter Pan! Watch as fairy dust sprinkles across the stage in this classic Broadway musical that tells the wonderful story of Peter Pan and the lost boys of Neverland. Head for the second star to the right, and fly straight on till morning to get lost in the adventure, excitement and music You will find yourself singing each song as the characters dance across the stage. The Broadway Musical will be available on DVD December 16th featuring amazing sets and magical performances. The DVD will also include an exciting backstage look at the creation of an all-new production of the classic Broadway musical from rehearsals through performance. This is released just in time for the holidays and will make an enchanting gift for yourself or someone you know! Be sure to grab the free Digital Posters by clicking the images below and saving them to your computer. 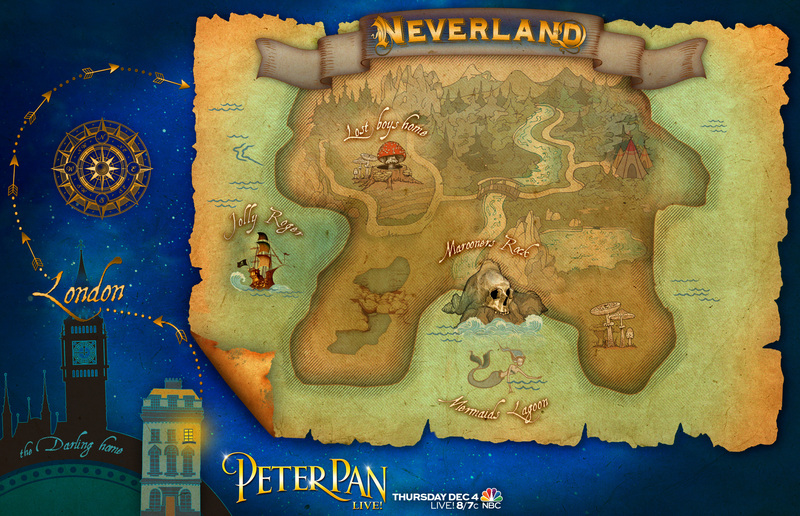 These posters were found on the Official Peter Pan Live website! •	The Making of PETER PAN LIVE! – An exciting backstage look at the creation of an all-new production of the classic Broadway musical from rehearsals through performance.